It’s a pity nobody of modern historians has written about Lantelme. I think this historian could find many interesting documents in French archives about Lantelme’s life and also (if German police archives survived two World Wars) the police file report about her strange death, I think this report is still somewhere in Dusseldorf archives. As there’s no complete and documentary book about life and death of Ginette Lantelme, we have to refer to a book written by Maurice Mayen and published very long time ago, in 1949, by Editions Asteria. 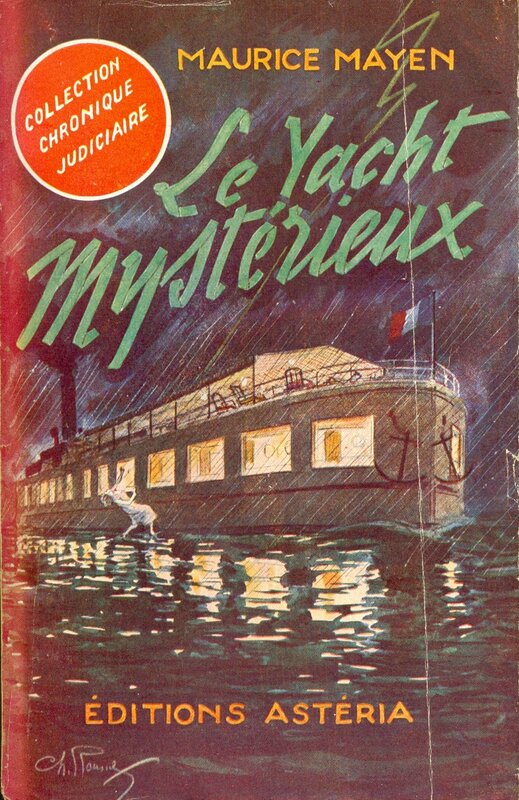 The complete title is “Le Yacht mystérieux : la mort de Lantelme”. This book gives many interesting details (I think Mayen’s source has been a person who had known Lantelme very well, maybe even her sister), but it doesn’t describe the whole truth. I don’t mean some mistakes I found in the text, but it looks like Mayen’s source had deliberately lied about some aspects of Genevieve’s life. It’s not only a passing over in silence the social origin of the future French theatre and fashion star, but also an intention to describe her life in some bourgeois style. But in spite of all this the book of Mayen is worth the reader’s attention.